A heart-warming nature documentary narrated by Morgan Freeman filmed on location on the fourth largest island in the world. In this lush paradise, the film captures diverse species of lemurs in their natural environment, where they arrived millions of years ago as castaways. Where once they thrived, the lemurs are now highly endangered and the film celebrates the endurance of this magnificent creature against the odds. 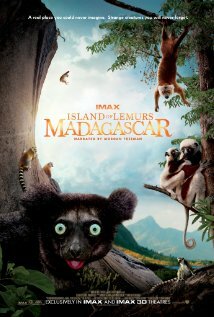 Island Of Lemurs: Madagascar: An IMAX 3D Experience is not currently showing anywhere.